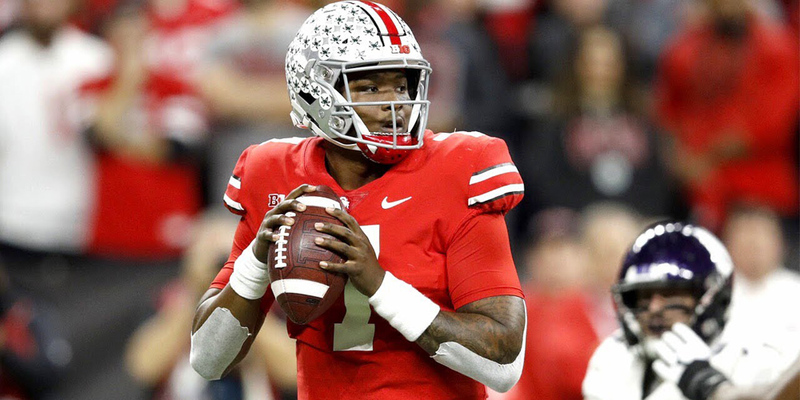 Dwayne Haskins was a consensus four-star prospect coming into Ohio State and was regarded as one of the more pure passers. He ranked among the top five pro-style quarterbacks in the class. Haskins, who is a redshirt sophomore, really made a name for himself his final year at Ohio State. He threw for over 4,800 yards and hit the 50 touchdown mark while throwing just eight picks. Pretty impressive numbers to end your college career, including the fact that he started just one year at Ohio State. Depending on who you ask, Haskins is regarded as the top quarterback prospect in this class. Will he be the first quarterback off the board? That remains to be seen. But he does have many traits that are desirable and make him likely to be taken high in the first round. Even though Haskins started just one year, he owns many records at Ohio State. According to ohiostatebuckeyes.com, Haskins owns the following notable records. And many more. Just looking at Haskins’ stats and record you can make the assumption that he is going to be a big threat at the next level. He has the throwing ability to make the clutch throws and win games. With his style of play, he should transition nicely to the NFL. Haskins’ 40-time may have been slower than expected, but NFL teams are not going to draft him for his speed. He’s a pure pocket passer and that’s what he displayed in the throwing drills. He drove the ball very well and had very good snap on the ball. In the quick slants and outs, Haskins confirmed those are his most confident throws. His deep balls were good but not great. There were a few instances where the receiver had to slow down or he overthrew them. With these guys having zero time to work together, it’s hard to read a whole lot into that. The stats speak for themselves. Haskins has the ability to put up big numbers and be very productive and lead an offense. His accuracy is tremendous in the short to intermediate areas on the field. He struggled at times when throwing deep and having to drop the ball on a dime to his receiver though. He shredded zone defenses and put the ball perfectly in tight windows and towards the boundaries. He showed his arm strength the most when he was throwing towards the sidelines, which typically young quarterbacks have a tough time with. He struggles to throw on the run, but if he gets to his platform, the ball comes off with lots of torque and gets to his receiver very quick. Haskins anticipates his throws very well. He’s able to read when his receiver is going to break and have the ball there in perfect timing. He goes through his progressions fairly well. When I noticed him struggling he was taking deeper drops and routes took longer to develop. The deep game is where he clearly struggles the most. If he has to hang in the pocket for an extended amount of time, he gets flustered, especially when defenses were able to get in his face. That’s when the worst came out of Haskins. He has good footwork and lower body rotation. He does have a very long stride and requires space to drive his throws. He has a very compact delivery. His top half and bottom half work very well together. He possesses some mobility but appears more stiff than agile when he runs. Though he can get off his spot and reset himself, you don’t necessarily want him in the situation to try and throw on the run. This seems too good to be true. Haskins game primarily excels in the short to intermediate areas of the field. Pat Shurmur is notorious for running an offense that attacks those areas. With Sterling Shepard and newcomer Golden Tate ready to attack the middle of the field in the quick game and Engram to dominate linebacker and safety coverage, Haskins should find great success instantly in his first year if he lands with the Giants. In a perfect world, Haskins would benefit from waiting a year and learning from a guy with Manning’s pedigree, but with teams pushing young guys into playing time right away, the Giants would be the best case scenario for Haskins. Haskins landing spot is going to be key when it comes to projecting his overall dynasty fantasy football factor. 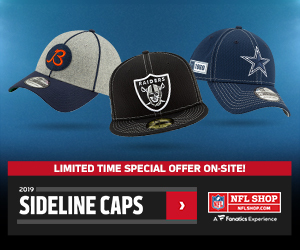 When it comes to those in Superflex or two-quarterback leagues, you should be looking to draft him in the mid to early first round of rookie drafts. If you’re in a standard league, you should be looking to draft him around the middle of the third, where he currently sits in Gridiron Expert’s rookie ADP. If you are desperate for a quarterback, early in the third is the earliest he should be taken. He has a lot of desirable traits that could potentially make him a solid NFL starter. He also has some traits that make me nervous that he will ever live up to his potential. He’s worth the risk, and with the right landing spot, could be a valuable option in your dynasty rookie drafts.